Daily Dzynmkr: What a difference a day makes! I was just telling everyone yesterday how well the bhut jolokia peppers were doing. And the possibility of having to re-pot them sooner than later. Well, I think the peppers heard me somehow! I was checking on them today and saw these tiny buds. 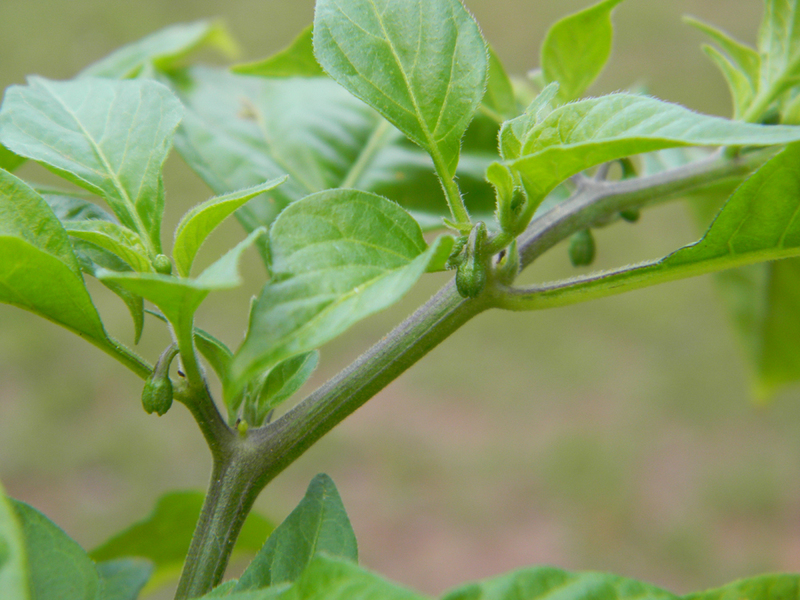 This tells me not only are they extremely happy in this heat, but they are ready to flower - which produces peppers!! (Very similar to a strawberry plant). When first starting this adventure, I told Scott I would do my best to keep these plants alive. The are known to be a very finicky plant - wanting "just right" conditions to produce peppers. I couldn't be happier. I will keep updating everyone and taking pictures of the process. I'm on a learning curve here and I'm taking you all along for the ride! Until next time - Happy Gardening...and be careful in this heat.